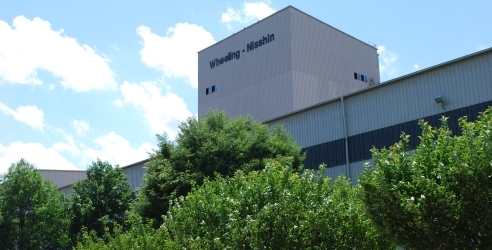 NS Wheeling-Nisshin, Inc. is committed to providing superior service to our customers. As part of that committment, we have provided a Customer Login option on our web site which puts information at your fingertips. With a Customer Login, you will have access to a number of inquiry functions such as Order Status Inquiry and Coating Pattern Inquiry. Reports such as Order Status Report and Allocated Product Inventory List can be printed from this page, as well as Shipping Notice re-printing and Product Certifications. By providing functions such as these, as well as a number of others on our Web Site, this information is available to our customers quickly and when they want it. If any of the functions mentioned above would be useful to you as a NS Wheeling-Nisshin customer, please contact your NS Wheeling-Nisshin representative about obtaining a user ID and password. Of course, all information is completely safe and password protected. NS Wheeling-Nisshin has chosen Symantec as its SSL provider to encrypt all information that is exchanged through the Customer and Carrier Login pages. This ensures that all communication of company information will remain completely confidential. NS Wheeling-Nisshin now offers a Carrier Login which will allow carriers to schedule inbound deliveries of raw coils and outbound shipments of product coils. 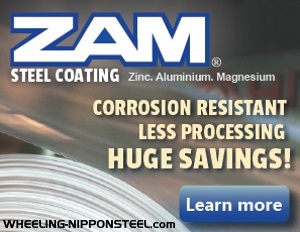 If you are interested in this feature please contact Cory Barker at coryb@wheeling-nisshin.com. We appreciate you visiting our website. Now tell us what you think.